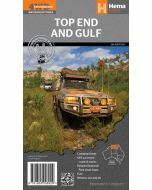 This map features the "Great Top Road" 4WD route stretching across the Gulf of Carpentaria from SW Cape York to Katherine in the Top End of NT including the magnificent Lawn Hill NP and bitumen Barkley Highway from Mt. Isa to Tennant Creek. 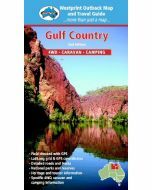 Mountains, plains, tropical forest, huge rivers and a coastline covered with mangroves are all part of this marvellous area called Gulf Country. Westprint Maps are highly regarded maps for desert areas. 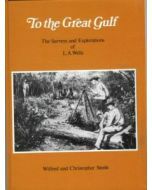 All Westprint maps contain notes on history, explorers, points of interest, surrounding flora and fauna and contain various photos of landmarks. The maps are very clear to read and have road distances, rest areas, caravan parks and fuel outlets noted.